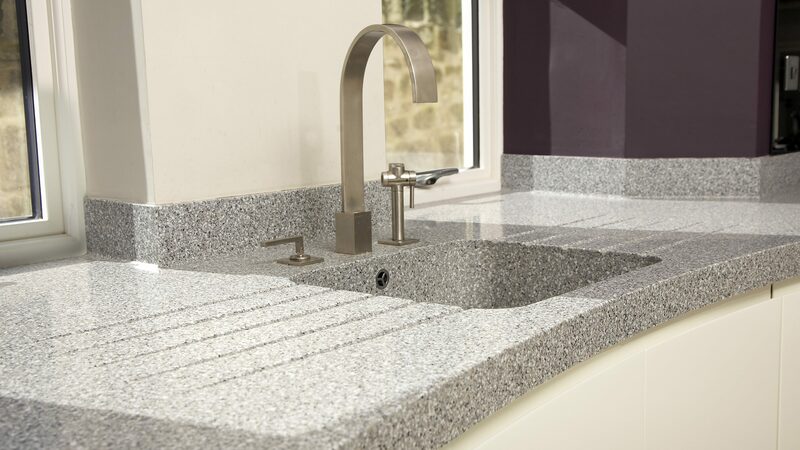 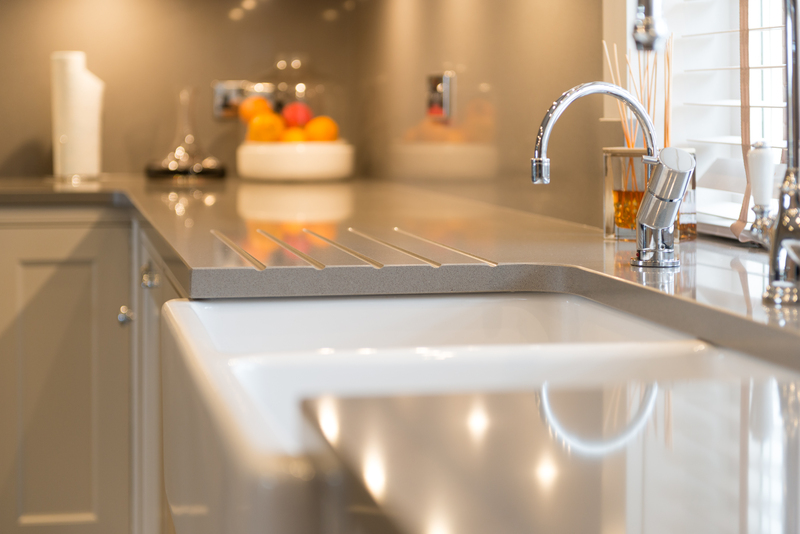 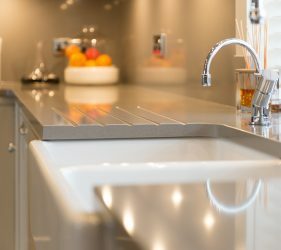 Corian is a fabulous material, not just as a great hard wearing Work surface, but will allow seamless design and construction on site allowing the largest and most complicated island / furniture worktops to be manufactured without a visible joint. 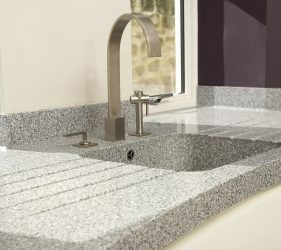 Sinks will also show no joints or gaps for dirt to be trapped in. 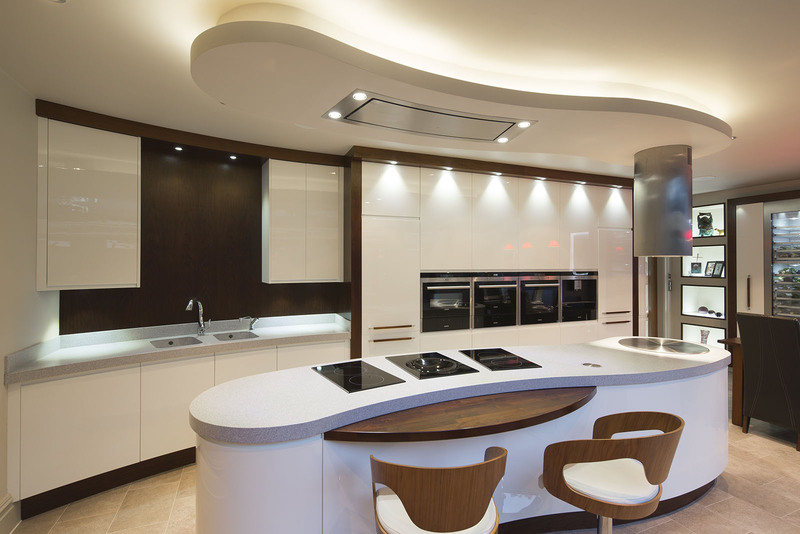 From a design point of view Corian allows our Acanthus designers to fully open up their creative talents. 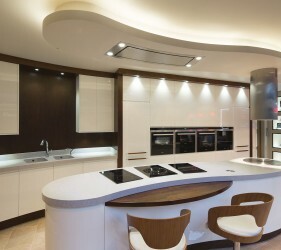 When discussing my kitchen with Acanthus, my designer suggested the use of Corian to enable the large shaped island top to maintain the sleek sweeping lines of the kitchen without joints, it worked a treat, we are so pleased with the finished kitchen which gives us great pleasure every day, and in particular our Corian work surfaces.